Egypt’s Red Sea governorate has decided to ban single-use or disposable plastics, starting from June. According to the Association for the Protection of the Environment, the decision, made by Governor Ahmed Abdallah, aims to protect wildlife, marine life and endangered species, all of which have been severely affected by plastic due to ingestion, poisoning or suffocation. This also affects human health, the NGO said. The decree will ban the use of plastic bags in food shops, restaurants, supermarkets, grocery stores and pharmacies. Plastic knives and forks, cups and straws will also be banned in restaurants and on cruise ships within the governorate. Heavy garbage collection bags are not included in the ban. The Red Sea governorate is one of Egypt’s main touristic destinations, with Hurghada as its capital. It is Located between the Nile and the Red Sea in the southeast of the country. 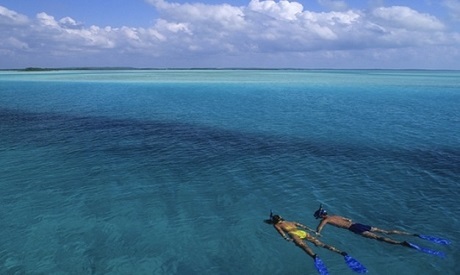 The governorate is home to some of the country's most popular tourist destinations on the country's Red Sea shores in Hurghada, El-Qusair, Ras Ghareb and Marsa Alam - all rated among the world’s top destinations for aqua activities. According to the decree, the governorate will also stop licensing factories to make thin plastic bags. Egypt’s waste output is 16.2 million tons annually, of which plastic represents six percent, according to the Egyptian Plastic Technology Centre, which is affiliated with the Ministry of Trade and Industry. Many other African counties have launched similar initiatives to end plastic bag usage; Rwanda imposed a complete ban on thin plastic bags in 2008, complete with stiff fines and even jail sentences for those caught violating the law.